Phone Lines as low as $20 per month in AT&T areas. No installation or conversion fees. PRI’s as low as $299 and include free installation and free long distance minutes. Integrate your voice and data services and save money with a bundled solution. We'll help you find the best T-1 solution for your company's needs with T1's starting under $300 per month nationwide. Need to upgrade your equipment or add lines? 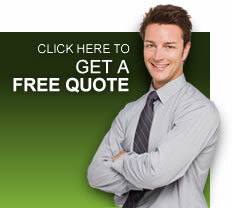 Let us provide you a free quote on phone service, a phone system, and an Internet package. ISDN PRI is a standard all digital access technology that allows for simultaneous, integrated voice and data capabilities over standard existing telephone lines and PBX phone systems. Receive transmissions from office phones, cell phones and the Internet over one, private, secure managed network for unprecedented savings and efficiency. Don't need a full T1 and less than four lines? DSL is your answer nationwide for data and we have the right DSL solution for you. A Metro Ethernet is a computer network that covers a metropolitan area and that is based on the Ethernet standard. As voice and data communications continue to evolve, aging technologies such as point-to-point and Frame Relay continue to struggle to adapt to evolving IT (Information Technology) demands and to maximize available bandwidth by converging voice and data. Enjoy one low price for unlimited long distance calls to anywhere in the Southeast. With so many choices of confusing plans and contracts, how do you know what’s best for you? We do! Save big when you bundle local service, unlimited local calls, and calling features into one package. Specializing in Integrated T1’s, Dynamic T1’s, Local Dial Tone, Long Distance, DSL, Internet T1s, Voice Over Internet Protocol, VOIP, Metro Ethernet, Metro E, MPLS, Frame Relay, DS3, Conference Calling Solutions, Phone Systems, and Cabling. Carriers we partner with: AT&T, Windstream, Nuvox, FDN, STS Telecom, Access Point, XO, Paetec, C Beyond, TNCI, Birch, Broadsmart, Cavalier, Qwest, Century Link, Embarq, Verizon, Deltacom, Broadview, Info Highway, Airespring, Premiere Conferencing, and others. Servicing the following areas of Florida and most of the US, Fort Lauderdale, Weston, Tamarac, Plantation, Sunrise, Coral Springs, Hollywood, Hallandale, North Miami, Miami, Miami Beach, Kendall, Cutler Ridge, Perrine, Homestead, Boca, Boca Raton, Delray Beach, Lake Worth, Wellington, West Palm Beach, Belle Glade, Palm Beach Gardens, Jupiter, Stuart, Port St Lucie, Vero, Vero Beach, Palm Bay, Melbourne, Palm Coast, Bunnell, Daytona, Deltona, New Smyrna Beach, St Augustine, Orlando, Kissimmee, Winter Haven, Sarasota, Bradenton, Tampa, Largo, St Pete, Clearwater, Palm Harbor, Spring Hill, Ocala, Gainesville, Tallahassee, Panama City, Pensacola, Fort Myers, Cape Coral, Naples, Key West, The Keys, Georgia, Atlanta, Marietta, Rome, Athens, Macon, Albany, Columbus, Brunswick, Valdosta, Savannah, Dalton, Calhoun, Alabama, Auburn, Birmingham, Huntsville, Mobile, Montgomery, Mississippi, Jackson, Hattiesburg, Gulfport, Biloxi, Louisiana, New Orleans, Shreveport, Monroe, Alexandria, Lake Charles, South Carolina, Greenville, Charleston, Myrtle Beach, Columbia, Anderson, Spartanburg, Hilton Head, Summerville, Rock Hill, North Carolina, Greensboro, Raleigh, Charlotte, Wilmington, Winston-Salem, Greenville, Tennessee, Nashville, Knoxville, Memphis, Chattanooga, Clarksville, Jackson, Johnson City, Dallas, Dallas Fort Worth, Houston, San Antonio, Garland, Arlington, Corpus Christi, Plano, Laredo, El Paso, Austin, Lubbock, Washington, DC, New York City, Hempstead, Islip, Buffalo, Babylon, Columbus, Los Angeles, San Diego, San Jose, San Francisco, Fresno, Sacremento, Chula Vista, Cleveland, Cincinnati, Long Beach, Oakland, Santa Ana, Anaheim, Bakersfield, Riverside, Stokton, Detroit, Chicago, Phoenix, Tucson, Chandler, Glendale, Scottsdale, Mesa, Kansas City, Philadelphia, Pittsburgh, Indianapolis, Fort Wayne, Baltimore, Seattle, Denver, Las Vegas, Henderson, Portland, Oklahoma City, Albuquerque, Minneapolis, St Paul, Colorado Springs, Newark NJ, Jersey City, Lincoln, Madison WI, Norfolk, Richmond, and everywhere in between! Copyright © 2000-2010 TCEG Associates, INC. All rights reserved.